The High Court has found that some donations made to the Trust Board of the Church of Jesus Christ of Latter-Day Saints (the Trust) by a missionary, their family and others, in connection with the missionary’s application to be a missionary overseas were not charitable gifts under s LD 1 of the Income Tax Act 2007. However, the Court found that payments by some relatives of a missionary and other members of the Church were gifts and may attract a tax deduction under s LD 1. The Church of Jesus Christ of Latter-Day Saints (the Church) was based in Salt Lake City, Utah, but had a worldwide presence, including in New Zealand. One of its more prominent activities was sending young men and women to proselytise in different countries to obtain converts to the Church’s mission. Young members of the Church in New Zealand apply to be missionaries overseas. When they do, they commit to paying or raising a “standard amount” towards supporting the Church’s missionary work. The money was not paid towards their mission overseas, but rather towards funding expenses of other missionaries in New Zealand. The missionaries sent overseas from New Zealand had their expenses paid by the country where they proselytised. The payments made in support of a missionary were termed “Ward Missionary Fund” or “WMF” payments. This terminology was used by the Church and the Trust internationally. None of the WMF payments were refundable. Once a WMF payment had been made, the funds belonged to the relevant Church-entity for use in its discretion. The judgment addressed two proceedings, which were heard together, both involving the Commissioner of Inland Revenue as defendant. 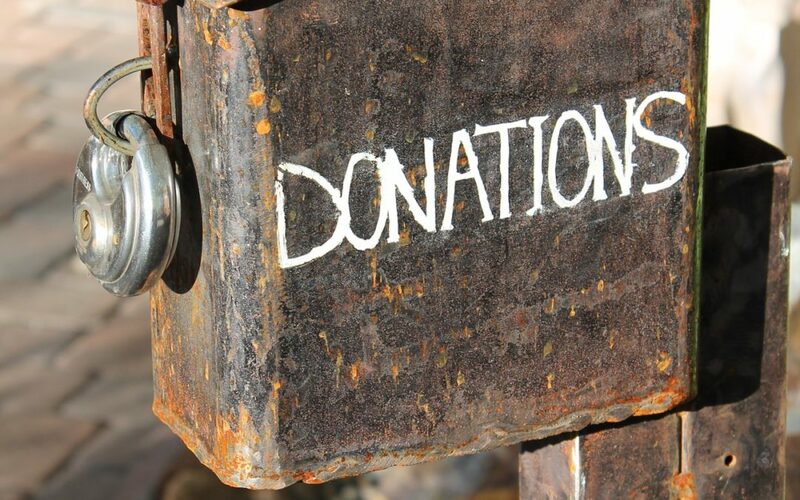 The first proceeding raised the broad question of whether the Trust could issue donation statements to any of the categories of people making the relevant payments. The plaintiff in the second proceeding was Mr Coward, a member of the Church. His daughter was a missionary for the Church. Mr Coward made the standard payments for his daughter’s application. This proceeding related to whether the Trust could issue a donation statement for those payments. Both parties considered it would be of assistance to have answers to the wider questions posed in the first proceeding rather than the narrow question of the status of payments made by Mr Coward. The precise issued to be determined by the Court was whether the WMF payments associated with a missionary’s application, made to the Trust by the following classes of people, were gifts under s LD 1, so entitling the donor to a tax credit: (a) a missionary (b) a parent or legal guardian of a missionary (c) grandparents of a missionary (d) siblings of a missionary (e) a more distant relative of a missionary, such as a cousin, uncle or aunt, and (f) a church member unrelated to the missionary, such as a friend of a missionary or a member of the missionary’s local ward. The Commissioner, as a matter of practice, had allowed all claims for these payments up until 2015. Since 2015, the Commissioner had disallowed claims by a missionary and their immediate family, but not (to date) by more remote family, or members of the local district of the Church (a stake), or local ward (a subset of a stake). The plaintiffs considered that the WMF payments were gifts because they were gratuitous payments that were made by Church members to the Trust to support the Church’s charitable work. They were dispositions of property without consideration. The Commissioner considered that the WMF payments were made to meet the costs of that missionary’s mission and were not gifts because they were not gratuitously made to the Trust. The Commissioner maintained that they were payments made so that the Church would pay the essential personal expenses of the missionary while on a mission. In the matter of the Coward proceeding, Mr Coward’s payments to the Trust were not gifts, so the Commissioner’s disputable decision disallowing Mr Coward’s tax credit in respect of those payments was correct. Ms Coward, and any other individual missionary, benefited from their essential expenses being paid, for similar reasons in Hodges v Federal Commissioner of Taxation (1997) 97 ATC 2158 where the payment received was service-related. The missionary knew that they needed to pay in order to have the experience they wanted. The WMF payments to the Trust by the following classes of people were not gifts under s LD 1 and the Trust may not issue donation receipts in respect of them: missionaries called to serve the Church, a parent or legal guardian of a missionary, and a grandparent of a missionary. There was a link between the WMF payments made as part of the application to be a missionary, and receipt by the missionary from the Church overseas of their essential expenses. Any payment made by an individual missionary (not applicable in the Coward case but relevant to the second proceeding) benefited the missionary. The benefit of having travel, accommodation, food and other personal expenses paid was not nominal. The payments made by the missionary were therefore not gifts. Payments by the parents (including Mr Coward) and grandparents were not gifts. While their primary aim may be to benefit the Church, the parents and grandparents also benefited by seeing their “child”, who while no longer a child was still engaged in life education, being able to travel, live overseas, and experience being a missionary abroad (Coleman v R  3 CTC 2311 cited). WMF payments to the Trust by a sibling of a missionary, a more distant relative of a missionary, such as a cousin, uncle or aunt, and a Church member unrelated to the missionary, such as a friend of a missionary or a member from the missionary’s local ward, were gifts under s LD 1 and the Trust may issue donation receipts in respect of them. Following a consideration of the case law, the following propositions on the meaning of “gift” were adopted. The decision in Coleman was particularly relevant. Because the Court in that case was considering “gift” in a tax context, the case had some factual similarities to the present, and both parties accepted it was a key decision in terms of principle. (a) For there to be a gift, there must be a voluntary transfer of property owned by the donor to the donee (Federal Commissioner of Taxation v McPhail (1968) 117 CLR 111; Friedberg v R (1991) 92 DTC 6031 cited). (b) There can be no material benefit flowing to the donor as a result of the donation (Federal Commissioner of Taxation v McPhail (1968) 117 CLR 111, Friedberg v R (1991) 92 DTC 6032, and Coleman v R  3 CTC 2311 cited). (c) However, a minor benefit or consideration will likely not be sufficient to vitiate the gift, neither will a “purely moral” benefit (Mills v Dowdall  NZLR 154 (CA); Coleman v R  3 CTC 2311 cited). (i) The benefit to the donor need not arise as a result of meeting a legal obligation. (ii) Anticipation of a benefit may be sufficient to deny a gift. (iii) There must be a connection or link between the donor’s payment and the benefit. The cases refer to a “link” or “hand-in-hand” or “directly related”. (e) The donor does not have to directly benefit from the donation. It is enough that the benefit is indirect, albeit it must be more than a pure moral benefit. For example, there will be a material benefit for a parent or grandparent in ensuring one’s children are educated, or if one receives a contractual right to insist on the donee’s performance, as a result of the payment (Coleman v R  3 CTC 2311; Case J76 (1987) 9 NZTC 1451 cited). Church of Jesus Christ of Latter-Day Saints Trust Board HC Auckland,  NZHC 52, 1 February 2019.